Towson concluded its fall season with a fourth-place finish in a 14-team pool at the USF Intercollegiate Tournament at TPC Tampa Bay in Lutz, Florida. The Tigers entered the two-day event ranked 102, the program’s highest-ever national ranking. Junior Alix Lowe recorded her fourth consecutive top-10 finish this fall, tying for sixth place with a three-round total of 229. Lowe and fellow junior Jenny Buchanan each shot a three-over 74 in the final round, helping Towson advance three spots before the final round. Buchanan finished tied for 23rd overall, shooting a 234. Freshman Alexis Hios also impressed as she tied for 18th with a score of 233. 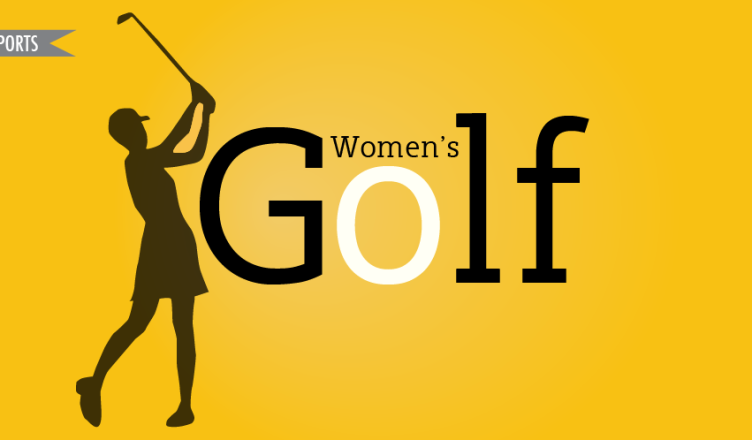 She also shot a four-over 75 in the second round. Freshman Emma Sutton tied for 35th overall, shooting a four-over 75. She recorded three birdies in the final round for a final score of 239. Freshman Sarah Perine tied for 40th overall with a score of 243, after shooting a seven-over 78 in the second round. The Tigers finished one place in front of fellow Colonial Athletic Association (CAA) member William & Mary, beating out the Tribe’s team score of 932. Towson beat both of South Florida’s five-golfer teams; Division I schools Stetson, Florida Gulf Coast, UAB, Lamar, McNeese State; NAIA school Keiser; and Division II school No. 12 Rollins College. Georgetown finished first overall, followed by Division II No. 6 Barry and Division II No. 8 Lynn. The Tigers also finished in the top-five in four of their five tournaments this fall. The team broke several previous school records throughout the course of the season. Towson will get back into the swing of things starting in the spring. The team’s schedule will be released in the upcoming weeks.